Jennifer Lawrence is totally a LEO! 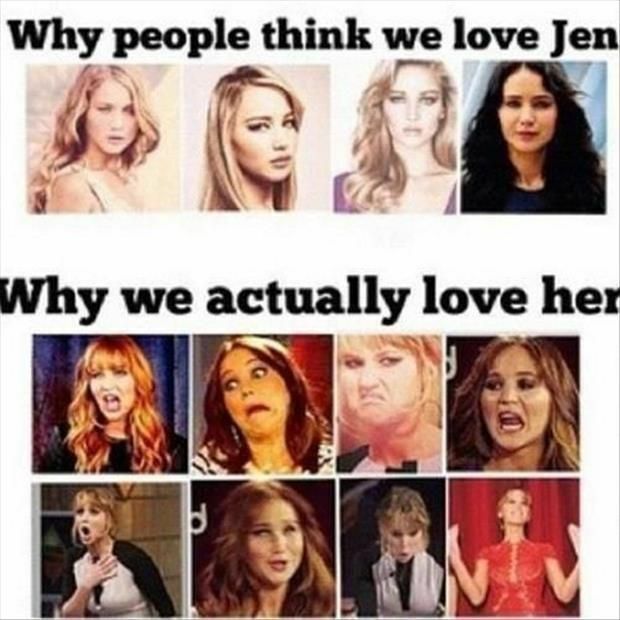 Love Jennifer Lawrence? Love celebrity zodiacs? Love celebrity birthdays? Let's show you why Jennifer is totally a Celebrity Zodiac Leo of her crowd! For one, Jennifer is one of the highest paid actresses so far. She's had roles in the Hunger Games, Joy, and American Hustle. She's the top of the stage when it comes to acting and hollywood roles, as any Leo loves to lead in their business and work. Leos like Jennifer know how to be the top of their field, especially in a tough industry such as film. What makes her a Leo is also with her interesting personality. From clumsy to witty, she's not your typical hollywood celebrity. She has a sense of humor and charm to captivate fellow celebrities and her fans. Leos are also concerned with public image, and it's no secret Jennifer Lawrence has once googled herself to find out what her fans were saying (and not all of them had nice things to say!). But along with her unique personality, is her ability to be a good, warm friend. It's no surprise she's great friends with comedian Amy Schumer and Aziz Ansari, whose humorous personalities relate to her own humorous, fun personality. Not only warm to her friends, but warm to strangers in need, as she has donated to many charities in the past, her hometown hospital, and supports feminism in general. As a Leo, Jennifer also loves to be followed and admired for her skills and presence, as this is necessary for many Leo Birthday Girls. Makes perfect sense as Jennifer is an actress and constantly has fans and audience members view her movie performances year after year with support and love. Being a celebrity Leo is probably one of the most perfect zodiacs for being in such a public position with being in the spotlight and being adored by many! Roar like a Leo Jennifer!